Leave behind your worries with an amazing trip to Spain's Costa Blanca! This lovely townhome's seaside location is perfect for a beach getaway, as well as providing a nice home base for touring the cities of southern Spain. 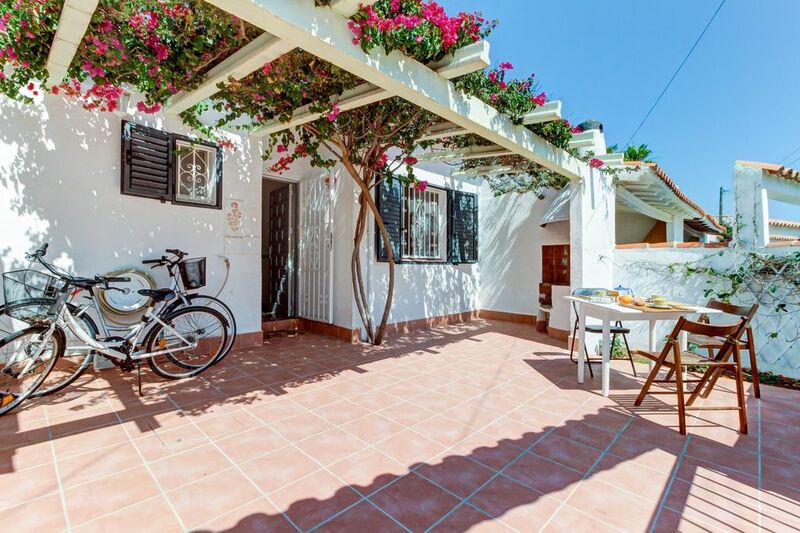 Six miles west of the city of Dénia, this home is tucked away in a peaceful neighborhood that's still near enough to restaurants to provide a little bit of variety on your evening strolls. Even closer is Almadrava Beach - the pebbly shores and crashing Mediterranean waves offer a nice location for romantic walks and fun afternoons with the kids. After exploring the neighborhood with the home's two included bikes, park them on the sunny patio and head inside to relax. The living area offers recliners and a cushy sofa for relaxing by the flatscreen TV. Take in satellite or DVDs on the screen, or admire the ceiling beams above and tile floors below. Find a new recipe to try in the kitchen via WiFi. The cozy cooking area gives you all the basic appliances you need to turn fresh ingredients into tasty treats. Dine at the breakfast bar seating for four indoors, or head out to the patio to dine in the fresh ocean air. When you're done watching creeping vines and vibrant flowers swaying as the wind blows by, you can head inside and cleanup with the dishwasher. Two bedrooms and a sofabed allow six guests to stay at once. Couples can enjoy the master bedroom's double-size bed. The kids can take the two twins in the second room. The sole bathroom is bright and clean, and provides a large shower for washing up in the mornings. Looking for more beaches? The golden shores of Dénia are just a few moments away by car. The city also offers historical attractions like Dénia Castle and the Església Catòlica for taking in the local culture. If you'd prefer more natural beauty, head south for the stunning mountain views of Massís del Montgó. Place your reservation today and get your Mediterranean adventure started!